Breaks aren’t part of the regimen for Penn High School student-athlete Bailey Mott. 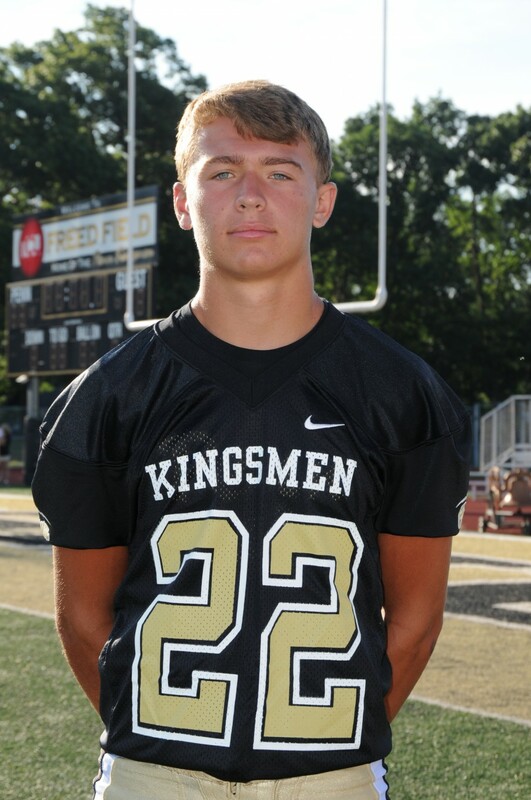 He’s a three-sport athlete star for the Penn Kingsmen. Playing three sports for a high school with very competitive sport system can be difficult and also make an education a tough challenge. “There are a lot of late nights, but I make sure I pay very good attention in class to make studying and homework easier on me,” Mott said. A 5-foot-11, 160-pound senior, Mott is a hard-hitting and heady defensive back and special teams player for football. In wrestling, he wrestles for whatever weight class the team needs him to compete at. In track, he runs the 300-meter hurdles, the 4×800 relay, and the 4×400 relay. Mott was a reserve on Penn’s state championship wrestling team, Penn’s state runner-up football team, and has been a state finalist in track. Penn’s athletic director Aaron Leniski thinks Bailey is a very impressive student-athlete. He also said that Bailey is “Kingsmen Royalty” because of his accomplishments as a student and an athlete. He is very impressed with Bailey’s very high GPA and able to still being very successful at the sports he plays, and he is very proud that we have a student like him here at Penn. Mott also plans to run track in college because it comes natural to him and it’s just what he loves to do. Bailey Mott is a a very good athlete and very-well rounded player. He works extremely hard for his team and knows that keeping a good education is just as important he is exactly what you look for in a player.